A file with the ADOC file extension is most likely an AsciiDoc file. In short, these kinds of ADOC files are used to render a plain text file into a format that's easily readable, like to HTML or PDF. AsciiDoc is a markup language for writing things like software documentation and notes, but it might also be used as the format for eBooks or slideshows, among other uses. Therefore, the .ADOC file extension indicates that the file is using the AsciiDoc language to store this information. However, unlike other markup languages, ADOC files are really easy to use because they're just plain text files that can be easily read by anyone in their raw, text form, even without an understanding of the language. Files in the AsciiDoc format don't typically remain in a file that has the .ADOC extension, but are instead written with the AsciiDoc language and then translated to HTML, PDF, or some other text-based format. You can see how to do that below. If your ADOC file isn't an AsciiDoc file, it might instead be an Authentica Secure Office Protected Word Document file. ADOC files don't have anything to do with DDOC files or Microsoft Word's DOC and DOCX formats, even though their file extensions are similar. Since AsciiDoc files are plain text files, any text editor can open one. 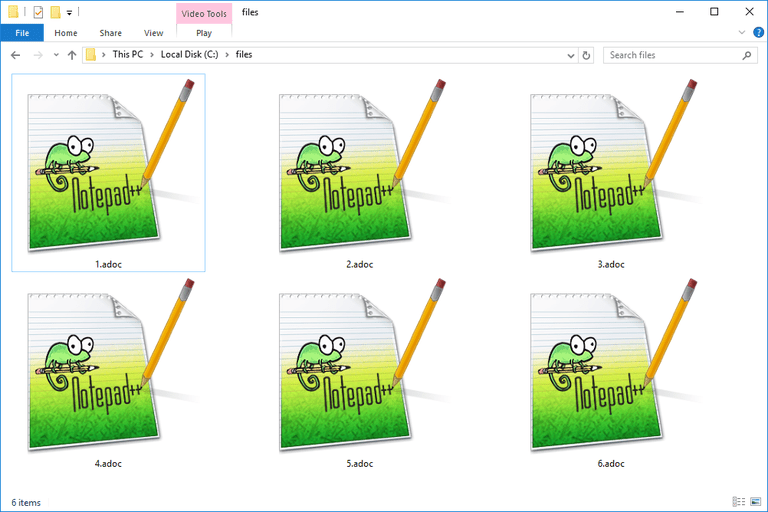 See our favorites in this Best Free Text Editors list, but others work too, like the Notepad application built-in to Windows. Since most text editors probably don't recognize files that have the .ADOC extension, you'll have to first open the text editor and then open the ADOC file through the program's open menu. ADOC files usually use special syntax like colons, periods, and brackets so that an AsciiDoc processor can display the plain text in a format that's easy to read. You can learn more about this in Asciidoctor's AsciiDoc Syntax Quick Reference guide. ADOC files that are Authentica Secure Office Protected Word Document files can be opened with the Signa Web web service. You might have a program on your PC that's trying to open the ADOC file when you double-click or double-tap it. If so, and you want to change that, see How to Change the Default Program for a Specific File Extension guide to make Windows use a different program to open the ADOC file. You can translate an AsciiDoc file into HTML, PDF, EPUB, and other formats using the Asciidoctor processor. See the How do I render a document? guide on the Asciidoctor website to learn how. However, before you can do that, you have to install Asciidoctor. We're not aware of any file converters that can convert an Authentica Secure Office Protected Word Document file to a different format. It's important to make sure that if you can't open your file using the ADOC openers or converters, that you're actually dealing with an ADOC file. It's easy to confuse a different format with this one because some file extensions look very similar. As an example, consider ADO files. They look like ADOC files but are really Adobe Photoshop Duotone Options files that can only open with Adobe Photoshop. Another is the ActivDox Document format that uses the ADOX file extension. Something else you can try if you do have an ADOC file but none of the tools from above seem compatible is to use go ahead and open it with a text editor and look around for some sort of identifying information that might explain the format. However, remember that even after you try all of this, it's still possible that the format the ADOC file is in is just too obscure. The software might only be available from a hardware device's install CD, for example, but not online.